What Are Quick Straight Teeth? Quick straight teeth are a comfortable and discrete way to quickly straighten your teeth, utilising the latest in invisible brace technology. Why Choose Quick Straight Teeth? Fast and effective results, can be seen as soon as 4-16 weeks! What Do You Get With The Quick Straight Teeth System? 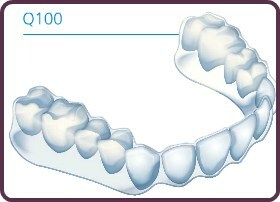 The Q100 is a custom crafted invisible/clear removable tray that will gradually and gently align your teeth. The Q200 is the second appliance of the programme. 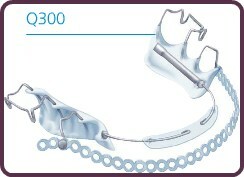 The Q200 is very similar to Q100 but has the main difference of including a powerchain at the front of the tray. The powerchain is also clear like the tray and made out of an elastic material. This powerchain will apply a gentle force that will focus on moving your front teeth. 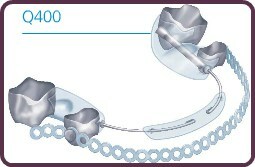 The Q500 is considered the flagship product in the quick straight teeth range. All the best parts of each appliance has been used in the Q500. Alongside the powerchain from the Q200, it also includes a Q spring that will focus on aligning the front teeth into a forward position. 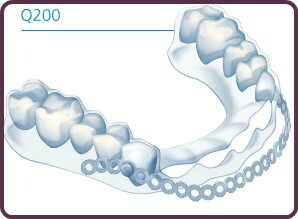 The Q500 was specifically designed with the main aim of giving you much faster results than you can achieve with other aligner systems. The Q300 was then developed as a hybrid based off the Q500. The main difference is that it uses an adams clasp. An adams clasp is clipped onto the underside of a premolar/molar tooth and is used for retention. This was designed for cases that may require occlusal surfaces (the opposing tooth in your jaw) to not be covered. The Q400 is again a hybrid derived from the Q500. This has one main difference added on which includes molar bands for retention. This is because some patients may be interested in having the Q500 but may not be suitable, so this has been specifically designed for those patients. 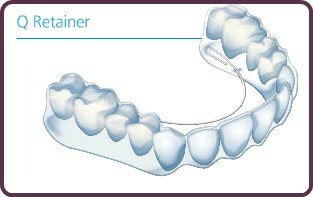 Like all braces treatments on offer, you will need to have a retainer in place afterwards, to ensure your teeth do not revert back to their original position. 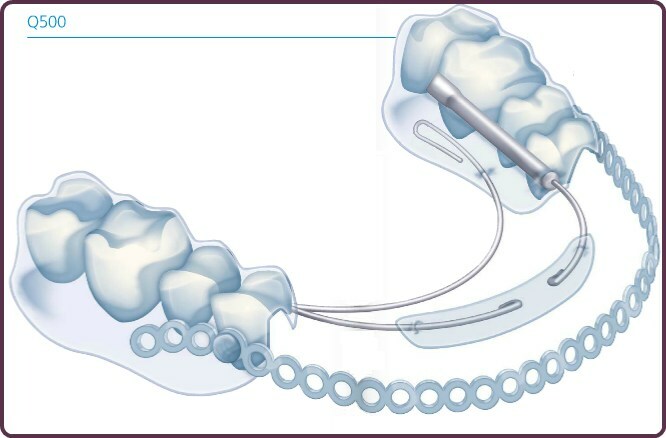 The Q retainer has been developed to work alongside a bonded retainer, which will then enhance the retention of the patients midline. Which Brace Is For Me? There are many different problems that can occur with your teeth, depending on the exact problem, the most suitable brace will vary. 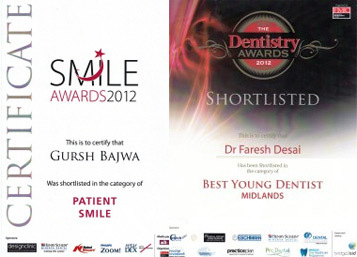 Call us and book your free consultation today and we will discuss all suitable options with you.